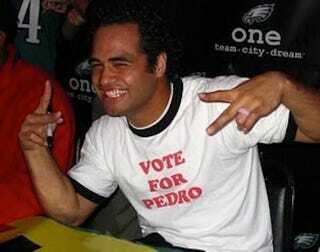 Reno Mahe spent five years in the NFL, all with the Philadelphia Eagles, for whom he was mainly a return man. Now, authorities in Salt Lake City say he took nearly $2,700 in gasoline by using a friend's corporate account. The 31-year-old spent a little time in jail Thursday after being charged with second-degree-felony theft under his full name, Sateki Reno Mahe. He and four others are accused of helping themselves to more than $15,000 in gas between August and October of last year. "Mahe's friend, Mark Evers, 31, was working for A-Core Concrete Cutting at the time and was filling his own vehicle and those of his friends using a company gas code, according to the charges. An audit showed that more than $55,000 was stolen between June 2006 and October 2010. The charges state that surveillance video from the August to October 2010 timeframe showed Mahe, Evers, Ofahengaue as well as Fred Prescott, 35, and Michael Andrus, 35, filling "their personal vehicles with gas after business hours using the code." "Mahe was present during the theft of $2,688.43," the charges state, listing the various dollar amounts of gas that was taken while each defendant was present. When the five gas gafflers were hit with a civil suit last November, Mahe was quoted as saying, "I thought you were allowed to do it. I didn't steal no gas. I don't need gas." In 1998, Mahe was booted off the football program at BYU for violating the same honor code that was thrust into the spotlight a few months back, first because of Brandon Davies, then because of this. Mahe told the Deseret News that his honor-code punishment "was probably one of the best things that had happened to me." He went on to advise Davies to return to the Cougars because "there's a lesson to be learned." That there's no such thing as free gas apparently wasn't it.